Empire Storage provides a selection of sturdy self-storage units. 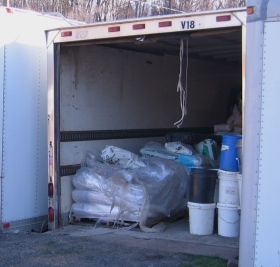 Along with spaces inside our Mini Self Storage building, we offer popular and versatile walk-in/drive-up Van Boxes and Trailers. Our mini-storage building provides indoor self-storage with space selections from 5×10 feet through 10×30 feet. You benefit from drive-up access and convenient roll-up door. 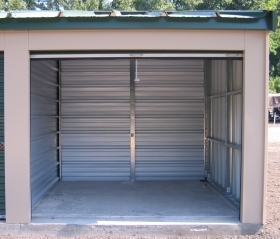 Fully enclosed metal spaces with concrete floors protect your items. We’re one of the few storage facilities with fire protection built into our building. Your possessions are secured in a location surrounded by business activity around it in daylight hours, and gated access during off-hours. Ask about our free month offer ! Contact us to reserve your space now. 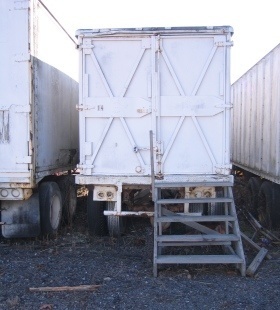 Mounted at ground level, these containers provide easy access for moving items or material, especially wheeled equipment. With a bed height above ground, they can be accessed via short stairs or line up with the bed of your vehicle. 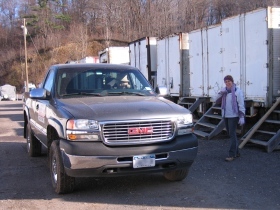 Our customers have used these storage units for tools, lawn equipment, business equipment and stockpiled inventory items. Contractors store raw materials and small equipment within a short distance of their latest project in the Rochester region. Our storage choices are arranged along wide paths to allow easy vehicle access. Strong rollup or hinged doors are secured by your lock for peace of mind. Contact our office with your requirements and let us match you up with “right-sized” storage.